One of the effects of the move to fixed weapon rolls in Destiny 2 is that, in theory, it levels the Crucible playing field. There are – in theory – countless Kinetic/Energy weapon combinations with which a Crucible combatant can achieve success, without depending on a randomly-granted perk. However, in every FPS, there will always be what’s considered the “meta” or ‘best’ loadout, and Destiny 2 is no exception. Although we’ve only made it a few weeks since launch day, the dust in Lord Shaxx’s prized arena has already begun to settle, and there appear to be some weapons that stand above others. Big thanks to Reddit contributor u/Mercules904, whose Massive Breakdowns are the stuff of legend. This Scout Rifle is perhaps the best example of a weapon that looks mediocre on paper but feels great to use. Despite its average statistics, everything about this weapon clicks: the sights, the feel, the sound, the rate of fire, and the intrinsic explosive rounds combine to make Nameless Midnight a Kinetic weapon that’s as satisfying to use in the Crucible as it is in PvE content. Part of that is because this weapon sports a very forgiving body shot TtK, which makes it a great option for flanking maneuvers. Combine that with explosive rounds for increased visual flinch and reduced damage falloff, and you have a recipe for a gun that holds its own in any situation. If you’re taking advantage of the increased ranges offered by explosive rounds, you’ll be able to outgun pulse rifles with ease despite the short-zoom scopes, which themselves are very clear. Although hip-firing with this weapon can be surprisingly effective, you’re best served by pairing it with a traditionally short- or mid-range option, such as a hand cannon or auto rifle. Pros: Explosive rounds and approachability make this an excellent jack of all trades. Cons: Slower optimal TtK, mediocre values mean you may struggle in top-tier gameplay. I was leery of putting a power weapon on this list, as all options are capable of one-shotting opponents and their effectiveness depends largely on player skill and style. That said, it’s my opinion that unless you’re a top-tier sniper, a fusion rifle is the most solid, reliable choice for you to have in your power weapon slot. They offer large magazines, versatile ranges, and incredible damage output. While the popular vote would likely go to The Main Ingredient for its very satisfying stat values across the board, my pick is the Shock and Awe. The reason for this is the perk “Backup Plan,” which grants a reduced charge time when you swap to this weapon. This effectively turns the weapon into a baby version of Destiny’s Plan C. It’s not quite as fast, but it’s fast enough that you’ll be able to surprise your opponents with careful timing, which makes this weapon far more versatile than its slow charge time would suggest. And, while the range isn’t best-in-game, it’s still enough that you can achieve some very satisfying long-distance voops. Trust me: this is absolutely a gun worth trying. Note: The Last Dance is just as effective. 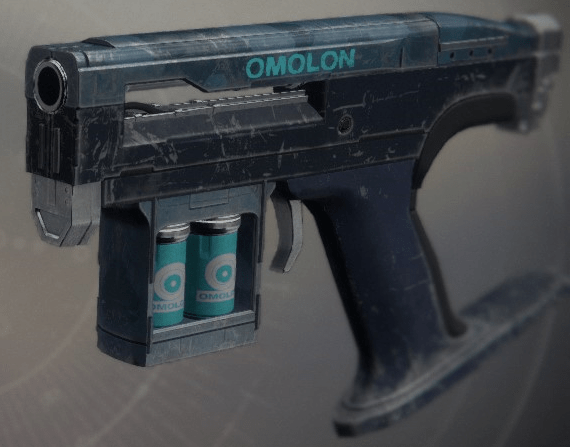 Omolon’s sidearms are fantastic Crucible options, and you can’t go wrong with any. That said, The Last Hope offers perhaps the most approachable combination of perks due primarily to the fact that it’s largely ‘average’ at everything. However, ‘average’ for an Omolon sidearm means ‘very good’ in combat. I think that we’re currently seeing a glut of this particular weapon because it’s easily recognizable, but it should be noted that the Last Dance and Etania SI4 sport the same optimal TtK (.73s) and are very worthy options. This particular model combines forgiving range with equally forgiving stability. The addition of the ‘Zen Moment’ perk means that it’s very easy to get the jump on a close-range opponent and follow up your opening salvo with accurate shooting – important, because if you can land your crits, this weapon will even tear through supers. Hip-firing will be the best way to group and control its 3-round burst. Pros: High stability makes this weapon easy to use, 3-shot burst. Cons: Low range, below average reload speed. Many of the hand cannons in the Better Devils archetype can be used interchangeably depending on user preference. You’ll note that this weapon is one of many in the ‘mid-impact’ class of hand cannons, but I believe that it stands out due to both its versatility and its innate feel. An approachable rate of fire, combined with Explosive Rounds and the possibility of a 13-round magazine, makes the Better Devils one of the easier-to-use Hand Cannons available. Explosive Rounds drastically reduce damage drop off, meaning that the Better Devils feels comfortable at ranges where other hand cannons – such as the also-popular Minuet-42, Annual Skate, and Old Fashioned – feel less consistent. It’s primarily that ‘feel’ that makes the Better Devils an effective tool and a favorite, and is no doubt due in part to the relatively high Aim Assist value. Poke-shotting with explosive rounds is incredibly satisfying, and Better Devils lends itself very well to the guerrilla-style tactics that hand cannons require to be effective in the current meta. Pros: High magazine size, explosive rounds. As (currently) the sole occupant of the 540 RPM-archetype pulse rifle, the Lincoln Green is impressively versatile. The high rate of fire and Aim Assist value allows for quick poke-shotting from a safe distance, and combined with its innate hip-fire friendliness, it also allows the user a modicum of safety in close quarters when not aiming down sights. 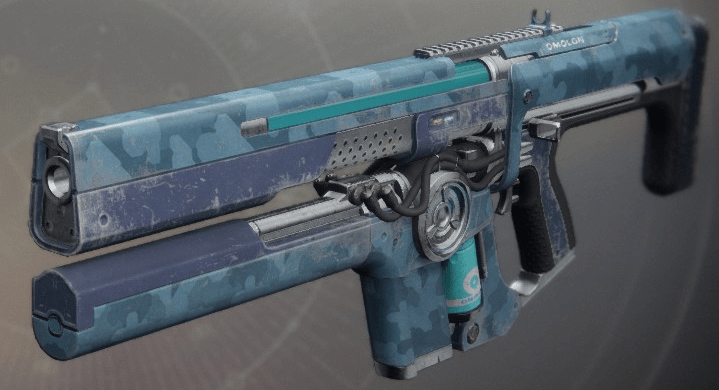 It’s not quite the powerhouse that the Clever Dragon was, but this pulse rifle shines at mid-ranges where hand cannon shots lack accuracy and scout rifles struggle with target acquisition. Keep in mind that at actual scout ranges, such as you’ll find when trying to hold down a long lane, the low range stat means that you’ll struggle to compete, especially because to achieve the optimal TtK you’ll need to be nailing your crits. When you do, however, you’ll have a blast. Nightshade is a great alternative pulse rifle if you’re unable to get your hands on this one. Pros: Versatile in many situations. Cons: Low range and low impact value can be unforgiving. 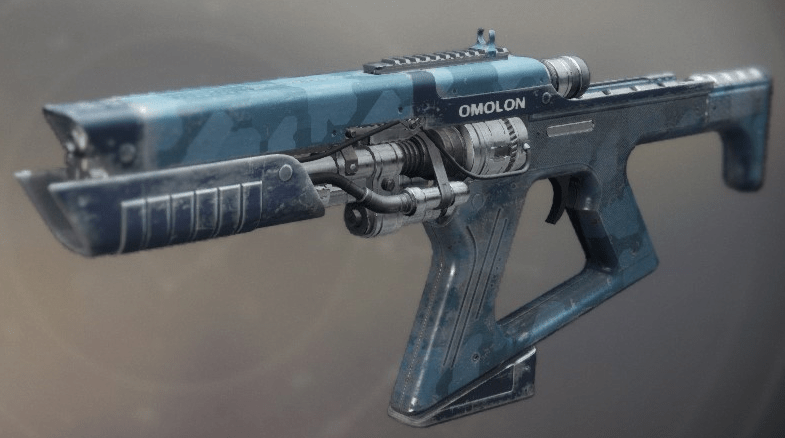 Auto rifles now feel great, in a way they never did in Destiny, and although there are a number of good options for you to consider, Uriel’s Gift shreds opponents with absolute glee. It has respectable range, meaning that you can engage at distances that will surprise your opponents. Second, its vertical recoil is easy to control, allowing you to make the most of an average-sized magazine. Finally, it comes with High-Caliber Rounds, which as of now is one of the best perks in the game for both PvE and PvP content. HCR drastically increase the flinch of your target, meaning that they’ll struggle to track you, let alone land shots. It is very possible to come to a duel late and still outgun your opponent. They’re just that good. Combined with the high range stat, this weapon can even keep you alive when you’re facing down a scout rifle, and the innate perk that grants improved initial accuracy on trigger-pull is just the icing on the cake. The only downside to this gun is that you have to have your feet firmly planted on the ground to do maximum damage. Smart Guardians with sidearms or hand cannons may be able to get the drop on you by maximizing their use of vertical space. Similarly, if you’re up against a Uriel’s Gift, ensure that you’re making yourself hard to track, and don’t expose yourself to its high damage output for extended periods of time. Pros: High-caliber rounds, easy-to-control recoil. Cons: Below-average mag size, handling, and reload speed. There are precious few exotic weapons in Destiny 2 that truly shine in PvP, and I would argue that the MIDA is perhaps the sole Exotic to deserve a spot on this list. As far as Kinetic Exotics, I personally enjoy The Vigilance Wing as well, it’s just not as good. The slower pace of the Crucible means that long sight-lines offer the safest form of engagement, and most are friendly to scout rifles. The MIDA can also work in short/mid-ranges in a pinch. Due to the increased radar cooldown after coming out of ADS, Third Eye is more valuable than ever. Landing the first shot in a duel is crucial, and the ability to aim down sights while simultaneously watching your radar to track enemy movement and flanking routes means that you can hold down the aforementioned lanes almost single-handedly. High Caliber rounds. It’s worth noting that, in Destiny, this perk was removed from the MIDA Multi-Tool because of how incredibly good it is. Enemies simply can’t land shots due to the extra flinch, and it’s very possible to be surprised and yet still outgun your opponent. To top it off, MIDA also grants additional movement speed when aiming down sights. While this isn’t as powerful a perk as Third Eye or HCR, it does help in strafing engagements when throwing off your opponent’s aim can win you the gunfight. Put simply, the MIDA Multi-Tool lives up to its name: its versatile, effective in all engagements, and an absolute joy to use. You’ll note that both of the weapons at the top of this list sport High Caliber rounds. Truly, they’re just that good. Pros: Top-tier sights, reload and handling stats, Third Eye, and High Caliber Rounds. Cons: Every single person is using it. You probably have your own picks that never leave your loadout. We would love to know what your favorites are!